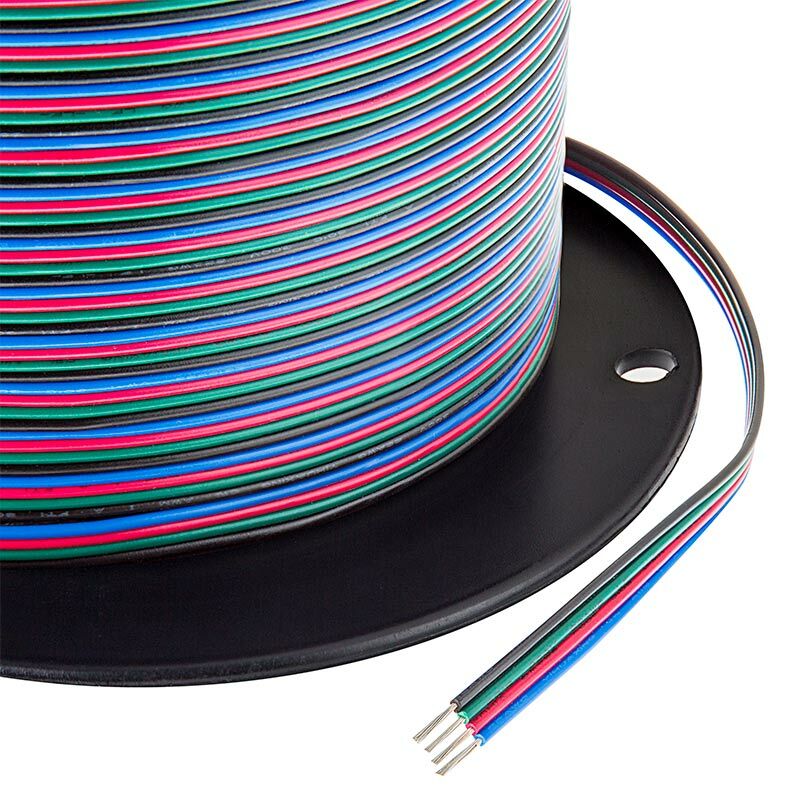 22 Gauge Wire - Four Conductor RGB Power Wire. Use for connecting and lengthening segments of RGB LED Light strips and RGB Controllers. Price per foot. I have LEDs from the front of my fifth wheel to the rear of it, and having wire like this makes it easy to install, Just match the colors and solder the wires together. IT work for the light strips, etc. Was not in the same order of colors as my strip, but that was not a big deal. Will order more. Nice wire to work with. As the description states the wire is easy to peel or separate each of the conductors from the others. Finger nails work well. The wire is a true 22 gauge and stripping was consistent with my electrical tools. You can't beat the price and the wire is essential if you are planning on cutting the LED strips into smaller sections and need to connect to another section. Easy to work with and I had 6 runs to work with and be able to hide the wire as much as possable. Excellent service and product. Exactly what you need when extending LED RBG wiring.